As I begin the countdown to my departure date from Kuwait (hey it rhymes! 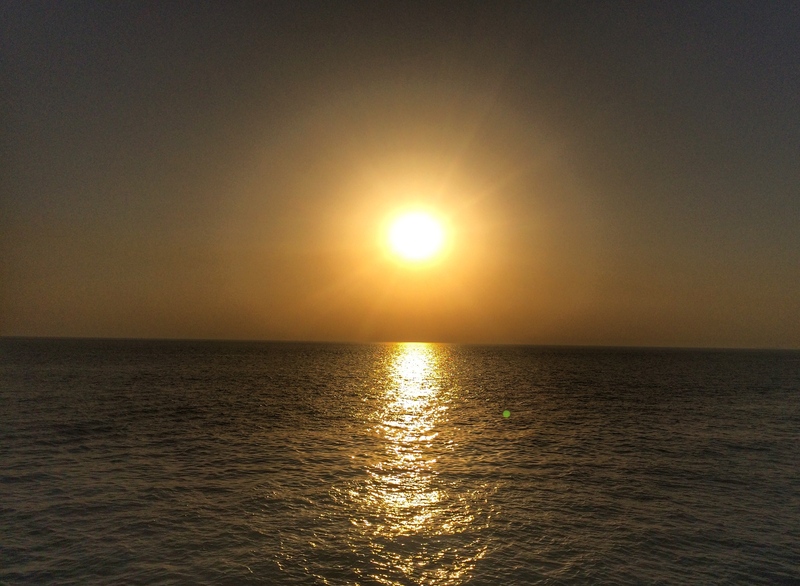 ), I have published my second round up of things to do in Kuwait. The first one can be found here. Click on the headings for more information about that particular activity and enjoy planning your time here in Kuwait! I was fortunate enough to go with my students to the aquarium for a field trip. Upon arrival, the first thing I noticed was the manicured and clean promenade adjacent to the aquarium, offering impressive views of the Kuwait city skyline. Of course, on the day I went, it was dusty and rainy so I couldn’t even snap a decent picture. Nevertheless, the aquarium itself is rather small- you can walk through the entire thing in an hour if you stroll slowly- but it is quiet, soothing and dimly lit with narrow passages constructed from a material made to look like coral or underwater rocks. That’s pretty cool. Verdict: A large python, a few small sharks and some cute otters are the highlight of this attraction. It is a good day out for kids especially if you take them to the Scientific Centre afterward. It could also be a nice way to spend an hour with your significant other coupled with a long walk along the promenade if the weather is agreeable. For those reasons, its gets a very average 3 out of 5 pandas. I headed here with a group of friends one evening and felt pretty calm until they asked us to choose our guns. When I heard the sounds of those rifles going off, I thought I was going to vomit. It had been my first time handling any sort of firearm and I was pretty nervous. But the instructors were AMAZING. So kind and helpful especially if you are a beginner. I fired a 20mm rifle and a 9mm handgun and didn’t too badly when hitting the target. This is definitely a must do for anyone in Kuwait! Verdict: The place opens at 5pm and closes at 9pm everyday except Saturdays. Take some sort of identification (I.D. card or passport) because you will not be able to shoot without one. The cost is dependent on what you shoot with and how many rounds you want. Don’t worry if you have no clue about this stuff, the staff are super friendly and will help you out as much as they can. And yes, females are welcome! A definitive 5 out of 5 pandas for this experience! This is a house once belonging to a famous Kuwaiti artist, Khalifa Al-Qattan and his wife, Lidia. Every room of the house is covered in mosaics, from the low corners to the high ceiling, which makes it a pretty unique attraction. After ginger cake and cinnamon tea, Lidia takes guests on a tour of her home while providing stories of her early days in Kuwait. In addition to the mosaic rooms there is also a gallery exhibiting artworks by both Lidia and her late husband. You have to call and make a booking before going but if there are more than 8 people in a group, its going to be super cramped in that house! Verdict: Ok so I must confess that this was probably the first tourist attraction I went to in Kuwait in October 2016. But I never blogged about it because I didn’t enjoy it. At all. 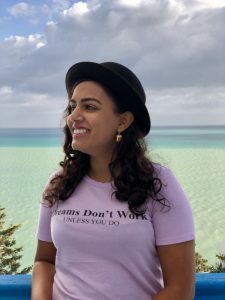 However, other bloggers here in Kuwait have said this was one of the BEST experiences that they had in Kuwait so I decided to include it on this list. I really think you should go and make up your own mind about it! I personally thought the whole experience was a bit creepy hence the 3 pandas but then again, that’s me. Go and see what its all about for yourself and comment to let me know what you thought! Verdict: There are so many more but I would just be going on and on. Check out this post for what Arabic food I like to eat in Kuwait and my article for what are some must try Kuwaiti dishes. Oh I am working on one more foodie post about the best ethnic cuisine in Kuwait. Eating out in Kuwait is my FAVOURITE past time! 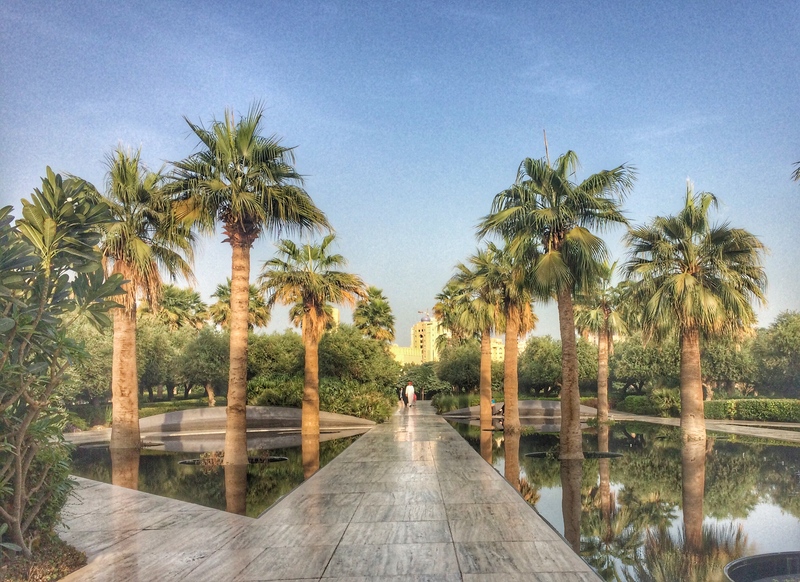 Other things I can suggest but never had the time or means to do include spending the day at beach near the Saudi-Kuwait border (Khairan area), ice skating, Bayan Botanic Gardens (only open on Thursdays from 10:00-13:00 so how could I ever go?) and renting a jet ski for 10KD an hour on the public beaches in Salmiya. I think the main problem with Kuwait is not the lack of things to do (although that too is a critical issue), it’s more the lack of information online about how to do the things that are available. I sometimes felt like a detective when trying to investigate how to go stand up paddling or looking for information about how to go on a Grand Mosque tour. So I hope my posts help those living in Kuwait, people visiting in Kuwait and people who are going to move to Kuwait! 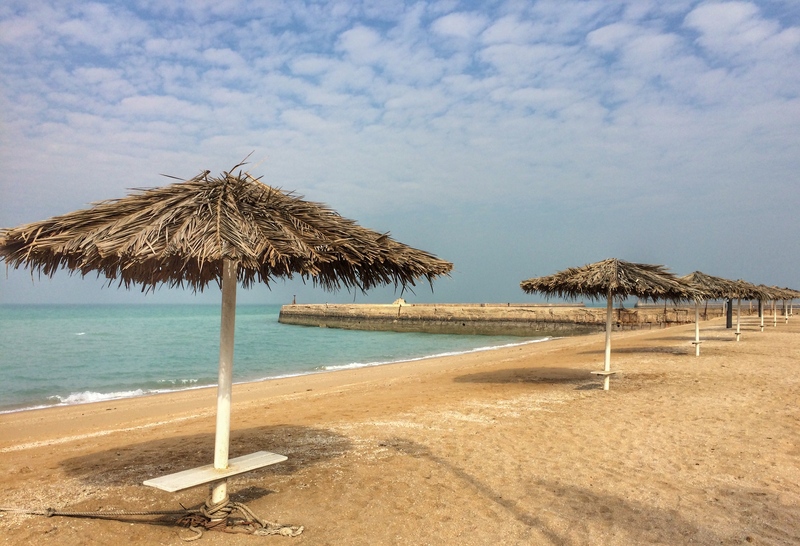 Remember to click “Things to Do in Kuwait” for more activities from my time in Kuwait. Also check out the “Life in Kuwait” menu tab at the top of this page for more truthful information about my life and time in Kuwait. If you want more detailed information such as, the most expat-friendly bank and/or help with choosing a gym, please send me some panda post via the “Contact” tab on the top of this site. What are your recommendations for things to do in Kuwait, suggest some of your favourite eating establishments and what other Instagram accounts should I add to this post? Previous Previous post: What is Ramadaan like in Kuwait? Next Next post: 7 things I can now do after being an Editor’s Pick on WordPress Discover! You will really enjoy the shooting. I was very surprised at the number of local women who there, hijab and everything! That mirror house looks incredible! And wow- the food looks delicious. Sounds like a cool place to visit! Aw haha thanks for the honesty! !